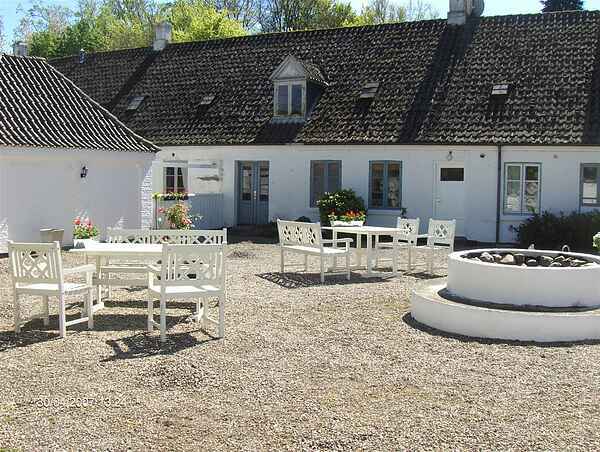 The Chauffeurs bungalow on Christinelund is for rent on weekly basis. The bungalow has entrance from the main courtyard and view to the park on the south. The bungalow has 2 double rooms, 2 living rooms ensuite with tv, fireplace and 2 extra beds, big bath room with toilet and equip dining kitchen with own access to the courtyard. The bungalow is fit for 6 persons. In the reception your can order breakfast, rent bicycles and canoes.